Nestled on nearly 1.5 acres in North Park Manor. Two story entry with curved staircase and gleaming Brazilian cherry hardwood. Den with interlocking beam ceiling, wood paneling, built-in shelving, and bay window. Formal areas are open, elegant, and spacious. Kitchen boasts granite counter tops, 5 burner Fisher & Paykel cook top, double ovens, beverage cooler, walk-in pantry, skylights, and more. Family room with dramatic ceiling details and stacked stone-accented fireplace. Main level master suite with partially vaulted ceiling, sitting area, and 17x6 walk-in closet with custom organizers. Master bath boasts dual vanity with granite top, oversize tile shower, and jet tub. Upper level has 3 bedrooms with walk-in closets, craft room, and walk-in storage. Walk-out lower level includes game room with gas fireplace, full bar, bedroom, bath, exercise room, and storage. Heated, three car att. garage. Heated outside parking pad. Fabulous wooded rear yard with new travertine patio and gazebo. Directions: Rt 910 E from Perry Highway. L Lyndhurst. Follow to top - 1st home on R.
I was searching for a Property and found this listing (MLS #1370631). 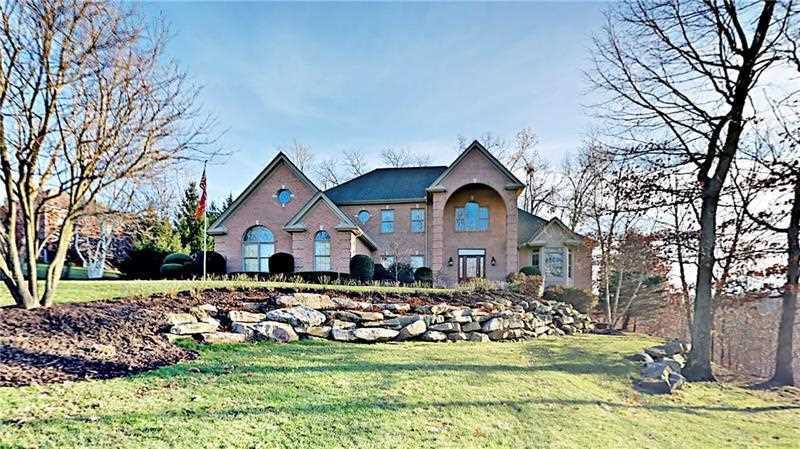 I would like to schedule a showing for 102 Lyndhurst Cir Wexford, PA 15090. Thank you! I was searching for a Property and found this listing (MLS #1370631). Please send me more information regarding 102 Lyndhurst Cir Wexford, PA 15090. Thank you! MLS # 1370631: This property at 102 Lyndhurst Cir, Wexford, PA 15090 is located in the subdivision and is listed for $899,900. MLS # 1370631 has been on the market for 155 days.